Bartholomew Revere shares the same bloodline as the famous Paul Revere and decided to capitalize on the family name by creating the Revere Brewing Company. The alcoholic beverage has quickly risen the ranks of the favorite beers that Americans drink. Born and raised in Boston, Mr. Revere is a diehard Boston sports fan and he did not hesitate when the opportunity presented itself for him to own a professional basketball team. 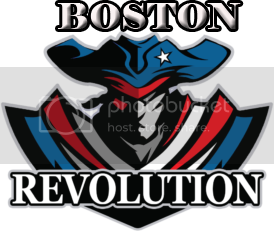 Unfortunately, in the first three seasons the Boston Revolution have not had a winning season which does not sit well with Mr. Revere. He is ready for his team to be a true contender. I've built a well known beer company from scratch. I've built this basketball team from scratch. Now I want this team to match the success of my beer company. Somebody help me do that! I have found the person that is going to bring the Revolution to prominence. 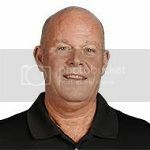 I am pleased to announce Digger as the first GM of the Boston Revolution. Hey GM Digger, I'm Patty Saint, the team assistant. 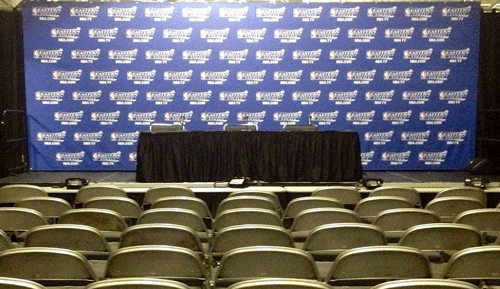 On behalf of the entire organization, I welcome you to Boston. Here is our current team sheet. Thank you, Patty. I look forward to working with you. Let's talk to Coach Jones. Alex Ray is competitive and a good decision maker. He's mostly effective with the ball in his hands, however he tends to dominate the ball at times which can stifle the offense a bit. He is pretty good at getting steals, but can become lax on the defensive end if he is not totally in the game. He is a big time scorer, averaged 31.8 ppg last season, and is known to have huge scoring games. He is a 3-time All-Star and was the league MVP two seasons ago. He's expensive, but at least we have him locked up for the next three seasons and I will leave that stuff up to you. Ross Crosby has great shooting ability and is a versatile defender who can guard multiple positions. He will be nothing more than a role player in the pros, but a solid one. Matt Billet is a tricky player to evaluate. He can flat out shoot the ball when he gets hot. He has great 3-point range, however he doesn't elevate all that well on his jumper and seems to be content on being a flat footed set shooter. With that being said, he's got a good head on his shoulders, doesn't get frustrated easily and his a solid ball handler for a shooting guard. He made the All-Rookie team in the first season and he's only 23 so he can continue to get better. Reggie Dodson, another shooting guard, can damn near jump out the building. He's got good outside shooting ability and is a decent passer. He's an effective defender that stays in front of his man and limits drives. Averages over a steal a game. He is a streaky shooter so he can be prone to shooting slumps. Odie Denson has a sweet shooting stroke with a soft touch and high release on his shot. What's even better is that his perimeter game should continue to get better with training. He's a solid one-on-one player, but is sometimes too unselfish and can overpass. He has a solid basketball IQ and seems to understand the game. His body isn't fully developed so that should improve over the next couple of years. Cleveland Wilcox is 3-time All-Star who can score. He averaged 22.3 ppg and 7 rpg last season to go along with 3 assists per game. Has great ball handling for a big and attacks the basket aggressively with a quick first step. He's extremely athletic and has a great work ethic, but defensively he needs work. He's more concerned with scoring. Toro Fangio is a serviceable center, though a little short. He lives in the post, 84% of his touches were in the post last season, and has a nice jump hook he likes to use. He's a solid rebounder, but average on defense. Averaged nearly 8 points and 8 boards a game last season. Would you say shooting guard and center are the biggest places we should look to upgrade, along with adding depth to our bench? I agree with that assessment, though if you upgrade at shooting guard and center, moving Billet and Fangio to the bench would provide us depth there. Yes, that would give us more depth. What are your thoughts on the coaching staff currently in place? I think we have a solid bunch with experience. I'd honestly wouldn't want to see any of them let go. Good. I like the idea of having an established group that can stay together and keep consistency on the coaching front. Do you feel you work better with young players or established veterans? I work well with both to be honest. Whoever is going to help us win, that's what I'm concerned with. If it's a rookie, so be it. If it's a ten year vet, so be it. Would it be possible to see our team's stats from last season? Here are the stats from last season for our current players. Free agent information will be out tonight and we can discuss them further if need be, at that point. Let's talk to the representation for Jason Rogers. Excellent. I'll send the paperwork to the league. Let's talk to Jason Rogers. Thanks for believing in me enough to draft me GM Digger. I will not let you down. Of course, Jason. I have no doubt you'll help us win some championships. Enjoy the rest of the offseason. Let's talk to the representation for Maurice Cameron. Let's knock out a deal for Maurice. How does 4 years, 3.5 million sound? Let's make that 3 years and you have a deal. 3 years works for me. You've got a deal. Patty, how much cap space do we have entering free agency? Do any of our players with PR have any special requests on how it is spent? No, sir. They understand that this is your first year with the organization and you don't know them yet. So just let your imagination run wild. Billboards (500k): Billboards will be put up throughout the Boston area, featuring a picture of Alex shooting a jumper and the hashtag #BostonThreeParty at the bottom. 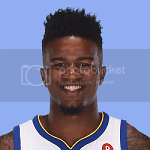 Promotion (500k): Every time Alex hits a three at home games, $10 thousand is added to a special pot that will be given away to an audience member at the end of the game. Billboards (500k): Billboards will go up around the Boston area, showing an action picture of Jason and the hashtag #EyeOfTheTiger at the bottom. TV Special (2 million): “Small School to the Big Time” : We will produce a TV special about Cleveland, showing his time at small college program Maryland Eastern Shore, all the way through the draft and his years with the Revolution. Various college and pro teammates and coaches will be interviewed, along with Cleveland telling his story in his own words. GM Digger, our team sheet is attached. As a reminder, you have a 2 year guaranteed deal to be our General Manager. Your task for this season is to FINISH WITH A WINNING RECORD. Let’s talk to Coach Jones. Coach, I’m liking the squad coming out of training camp. My biggest concern is shooting guard. Do you think we’ve got the right guy starting, and are we strong enough at that position to compete with top teams? Based on our current roster, Desmond might be the best bet as the season unfolds, but I'm comfortable with Matt starting for now. Once the season gets underway we can always change the lineup. I think with our overall lineup, our starting shooting guard position won't be a major factor. Any potential changes will be Coaches decision. "Alex Ray averaged 37 points a game, but is he doing too much by himself?" Ideally I'd love more balance to our offense, but Alex is a truly special talent. I trust that he's taking those shots because we need him to do so right now. Later in the year I'd prefer to see more balance, but I have no issue with our current offensive strategy. Hey boss, the buses are warming up. 1. We were up and down. We need to string some wins together to be as successful as we want to be. 2. Four games over the next two weeks. If we can get more consistent we should be able to go at least 3-1. That’s my goal for the team. We're still a little up and down, but we're keeping ourselves in the battle for the playoffs so I won't complain too much. Is there anything you think we can do to get more consistency from game to game?